Some of the best craft beer in the country—OK, the world—is being brewed up in Maine, and as a guest here at the Francis in the first full week of November you’ll have an unparalleled opportunity to explore and celebrate the local industry. We’re talking about the all-out suds-party that is Portland Beer Week, taking over the whole town from November 5 through November 11. Staying in the historic Congress Street landmark of the Mellen E. Bolster House at our newly opened Portland hotel, you’re nicely situated to take in as much of the Beer Week activities as you feel like—and you most certainly won’t be lacking for options! With seven full days of beer worship, we can’t break down all the ins-and-outs of Portland Beer Week: Take the following overview as a starting point, then dive into the full schedule of events right here! 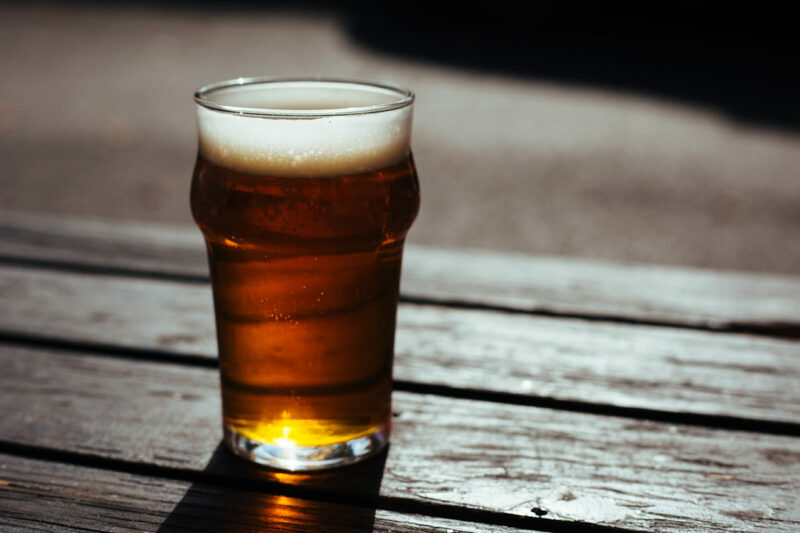 Some really fabulous Maine breweries will be starring in the festivities alongside some select beermakers from elsewhere in the country, including California’s Sierra Nevada, Utah’s Uinta Brewing, New York’s Ommegang, and North Carolina’s Fonta Flora. A whole slew of can’t-miss tap takeovers at various Portland establishments will anchor Beer Week: Lone Pine Brewing at the Great Lost Bear on November 5; Allagash at Bull Feeney’s on November 6; Nappi at Nosh Kitchen Bar on November 7; Banded Horn at Portland Pie on November 10 and 11—and quite a few more. Beginning at 6 PM on November 8, meanwhile, Portland Beer Week and National Distributors will present a survey of regionwide brew-craft during Friends With Benefits at Shay’s Pub Grill. Beers from each and every New England state will form the world-class roster: Higgins Irish Red from Maine’s Geaghan Brothers Brewing, Guava Berliner Weisse from New Hampshire’s Stoneface Brewing, Kiwi Rising from Massachusetts’ Jack’s Abby Craft Lagers, Northern Spy from Vermont’s Citizen Cider, and last but not least the delightfully named Ripe & Cranky from Connecticut’s Stony Creek Brewery. Particular beer styles will also have their moments to shine: For instance, those idiosyncratic Belgian-style sours will pair up with top-grade tequila on November 7 during El Rayo Taqueria’s Sour “Beer-Ritas” night; Lambics take center stage during Novare Res Bier Café’s “Silence of the Lambics: There Will Be Kriek!” shindig the same evening; and Maine IPA Night at the Great Lost Bear on November 8 will focus on the hoppier corner of the suds-spectrum. Then there’ll be the delights of Buns N’ Beers going down all week long at Bao Bao Dumpling House, wherein Pine State and Central Distributors will offer the perfect beers to pair with delectable steamed buns. And music lovers can enjoy fine-crafted brews from Two Roads, Rising Tide, Woodland Farms, and other purveyors as they take in the 3rd Annual Battle of the Brewery Bands at Portland House of Music and Events on November 8 from 8 to 11 PM. Again, we’ve only scratched the surface (the foam?) of Portland Beer Week’s goings-on, but we hope we’ve convinced you of the merits of taking in at least one or two days of the festival. Whether you can only spare a short immersion in Maine craft beer or you’re going all-out and attending the full week, choose the Francis as your centrally situated home base! PS: Don’t forget about our wide variety of locally sourced craft beer offerings at Bolster, Snow & Co.!